Here is another Punches Three card but this time ready for a little baby boy. 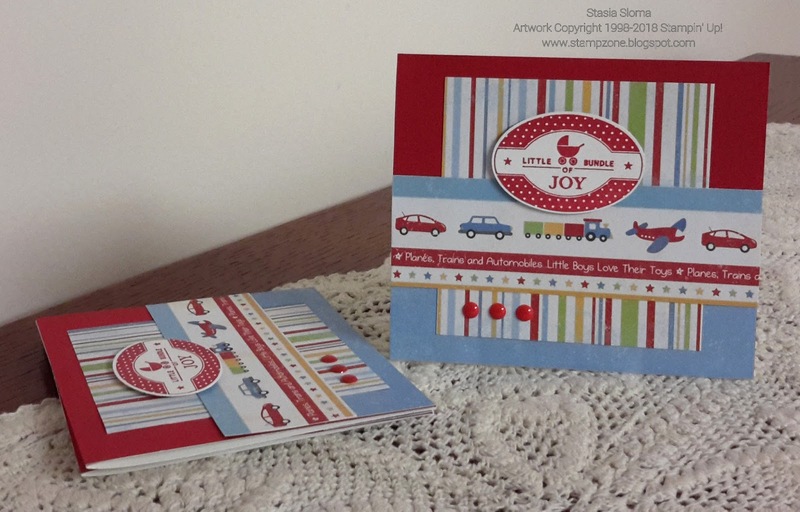 I used a old designer series paper from TPC Studio and added some fun enamel dots and the card was complete. So quick and easy to make. Love the primary colors. May need to do another baby card in these great colors.